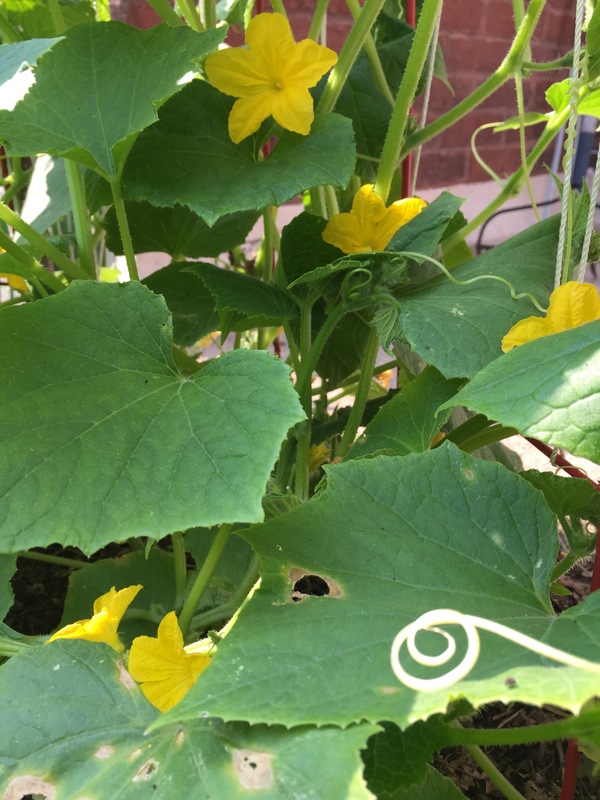 Cucumbers are flowering and growing wildly up the trellis. Soon there will be many varieties of cucumbers to relish. 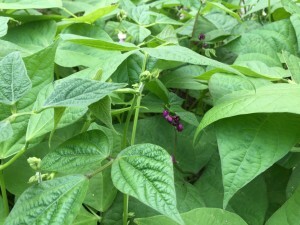 Bush beans (here) and pole beans are flowering. Soon there will be many fillet beans to eat cooked and raw. 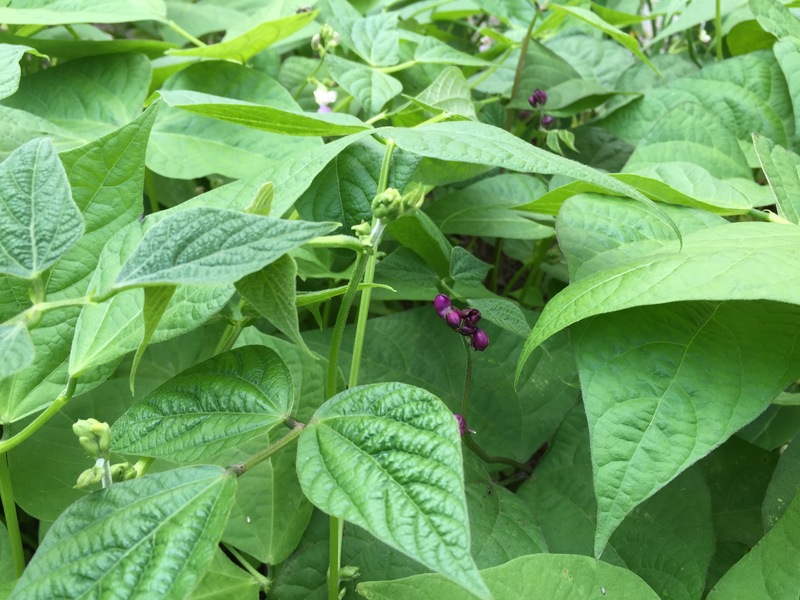 To keep your beans producing all season, keep picking all the beans off the plant. That keeps it flowering and producing beans all season. 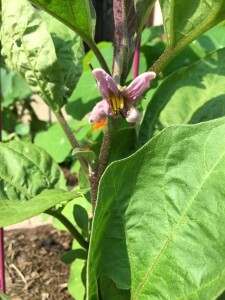 Eggplants are flowering and forming small fruits. Can’t hardly wait until I’m harvesting gorgeous eggplants and roasting them for dinner. This entry was posted in cucumber, eggplant, green beans, seasonality. Bookmark the permalink.